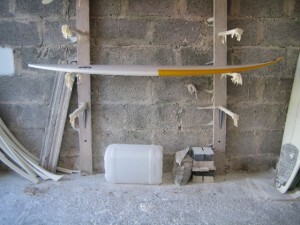 6’4 x 19″ x 2 3/8″ thumb. (4+4)+6 = 2.8kg. Fuller foil. For Cork’s Craig Faley but ‘for chloe’ graces the stringer in honour of his daughter’s arrival.